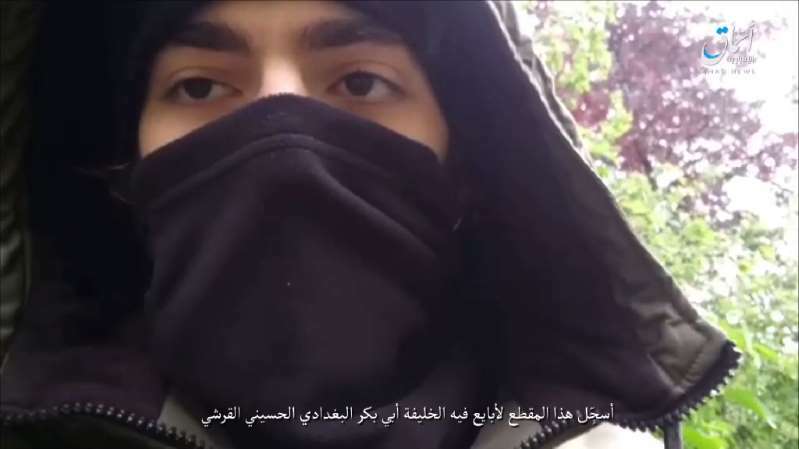 Islamic State, which has claimed the deadly knife attack in Paris this weekend, released a video on Sunday of a young man it claims was the attacker pledging allegiance to the jihadi group. The IS propaganda agency Amaq posted the video online using Telegram, featuring a young man wearing a hood with only his eyes exposed as the lower part of his face is covered by a black cloth. Speaking in French, he vows allegiance to IS leader Abu Bakr al-Baghdadi. The attack in central Paris on Saturday night by a knifeman, later shot dead by police, left one person dead and four wounded. "The author of this knife attack in Paris is a soldier of the Islamic State and the operation had been carried out in retaliation against the states in the coalition," said a "security source" at Amaq, referring to the international forces including France which are fighting jihadists in Syria and Iraq. The attacker killed at the scene by French police has been identified as Khamzat Azimov, a 20-year-old French citizen born in Chechnya who had been on two watchlists for suspected Islamist extremism.